Some lucky visitor to the 2019 Portland International Auto Show will win an all-new 2019 Honda Passport. The event runs Jan. 24-27 at the Oregon Convention Center. The organizers of the show, the Metro Portland New Car Dealers Association, will give away the SUV at the end of this year's drawing. One finalist will be chosen on each day of the show, from Thursday through Sunday. All four finalists will gather for a live public drawing and winner's ceremony at 3 p.m. Sunday. The Passport is Honda's new mid-size, two-row crossover. 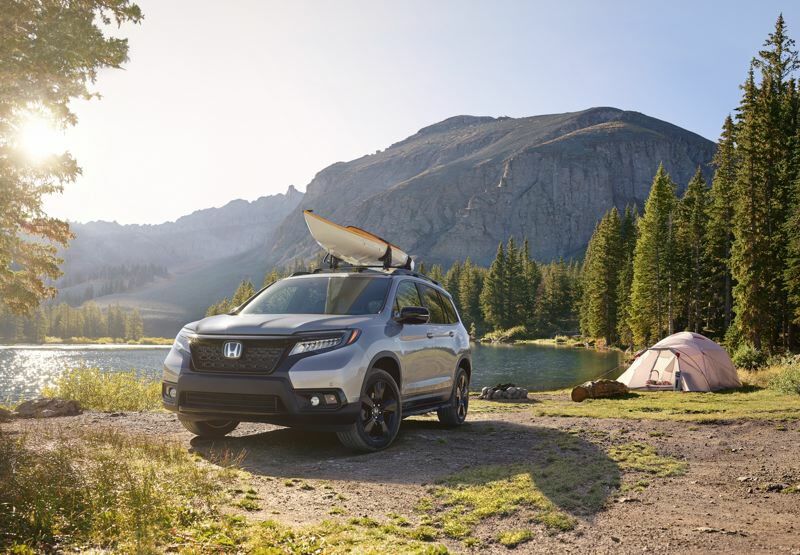 It features the Honda Sensing safety package, which includes adaptive cruise control, lane-keeping assistance, automatic emergency braking and forward collision warning. To enter the contest, stop by the Pamplin Media Group exhibit located next to the Passport on display in the MLK Jr. lobby. Each day's finalist will be notified of his or her status by telephone. For more information, visit www.portlandautoshow.com. Consumers defied expectations and bought as many new vehicles in 2018 as they did in 2017 — approximately 17.2 million, a near-record high. Automotive experts had predicted a decline in sales because of increasing prices and interest rates. But sales continued at about the 17 million mark for the fourth straight year, a strong showing for an industry prone to boom-and-bust cycles, the Wall Street Journal reports. Crossovers, trucks and SUVs continued to outsell sedans, a trend supported by a strong economy and continuing low gas prices. Ford, GM and Ram sold more than 800,000 full-size pickups last year. Practically every new vehicle will be on display at the Portland International Auto Show, scheduled Jan. 24-27 at the Oregon Convention Center. Although they are still a small percentage of the overall market, the sale of all-electric vehicles increased dramatically in 2018. According to the Clean Techica website, EV sales jumped 130 percent of the year, and 210 percent in the fourth quarter alone. They totaled 240,380 by the end of the year, with the Tesla Model 3 leading the pack at 139,730. Those figures do not include hybrid and plug-in hybrid vehicles that appeal to more consumers because they are also powered by gas engines or generators, meaning they can can be refueled like traditional cars, eliminating the fear of running out of electricity on the road.